Size 3.9″ (100mm). 5 per pack. Dappy version of Nikko’s highly effective kiji worms. Versatile bait! In freshwater, often used as a drop shot worm for bass and is commonly used for trout and steelhead, especially in the western US. All models scented with Nikko’s proprietary blend of all natural fish attracting ingredients and UV fluorescent. 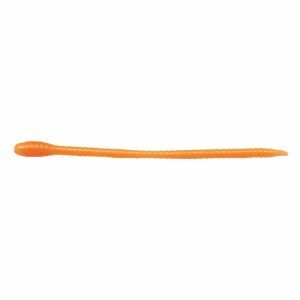 Great for bass, trout, crappie and situations where a smaller worm is needed. Biodegradable. Phthalate and toxin free. Store separately from other plastic worms.